For about a decade, institutional investors have been buying up farmland across the country in a trend that could have significant impacts on farmers. Will it mean higher rent? More competition for productive land? An infusion of cash to enhance operations, or perhaps a welcome out for older farmers who are looking to retire? No one knows, but Madeleine Fairbairn, an assistant professor of environmental studies, is seeking answers as she embarks on a two-year investigation of the little-studied phenomenon. Investing in farmland is smart business for managers of pension funds, college endowments, and hedge funds, said Fairbairn. It generates stable income in the form of rent and capital gains as the land appreciates in value, and it diversifies portfolios—thereby reducing risk—for financial investors. "We’re seeing growing interest in farmland acquisition, and we are seeing new investment vehicles being developed, but we have no idea what it means for small and mid-sized farmers," said Fairbairn, who received a $150,000 grant from the U.S. Department of Agriculture to study "farmland financialization" in areas of peak agricultural production in California and Illinois. "We're in the beginning stages of what could be a significant shift in land ownership," said Fairbairn. "Pension funds have enormous resources because they manage money for so many individuals. This has potentially major implications, since access to affordable land is a cornerstone of American agriculture." A rural sociologist, Fairbairn has tracked the trend since it first emerged. She has attended agricultural investment conferences where "farmland funds" were pitched to potential investors, and witnessed the development of investment vehicles that cater to the phenomenon, including publicly traded real estate investment trusts (REITs) that first came on the U.S. market in 2013. 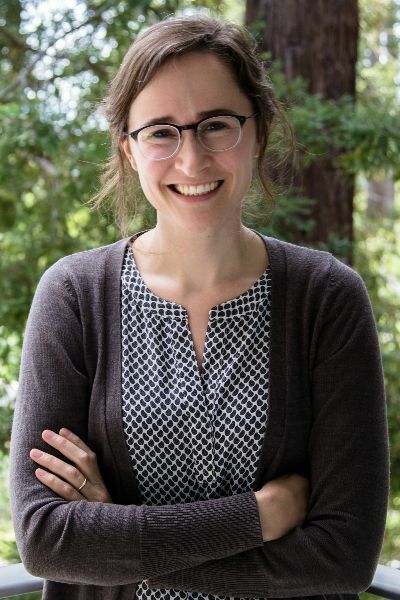 "Land ownership is a really important part of agriculture, but one that most people spend very little time thinking about," said Fairbairn, who was delighted to join the faculty at UC Santa Cruz, a campus with a legacy of pioneering scholarship in rural sociology, led by Research Professor Bill Friedland, Julie Guthman, and others. California and Illinois represent two poles of U.S. agriculture: California is dominated by high-value specialty crops and "permanent crops" like almonds and wine grapes; land is very expensive; and corporations already are major players. Illinois produces commodity row crops like corn and soybeans, and is home to more small, family-owned farms. Demographics, too, are playing a role in shifting patterns of land ownership: The average age of today's land-owning farmer is 58. "If investors offer a sale-leaseback option to farmers, it could be good for farmers looking at retirement," said Fairbairn. "Right now, we have this trend with very little information about what it means for farmers," she said. "The number of farmers in this country declined precipitously throughout the 20th century. Will this further that decline? Will it help farmers stay on the land? We just don't know." The consequences of institutional investment matter on another level, noted Fairbairn: Institutional investors such as pension funds and university endowments manage the capital of millions of employees and the donations of thousands of alumni. "It's hard enough for individuals to know what those fund managers are doing with their capital, never mind what the impacts are on the ground," she said. Fairbairn's research will include in-depth interviews with farmers, community members, and landowners in Monterey county, as well as with key stakeholders who play central roles on the national level, including farm advocates and professional farmland managers. The USDA grant funds a "seed project" to establish a baseline of information about the consequences of "farmland financialization" for farmers. Fairbairn's collaborators on the project include Kathryn De Master, an assistant professor in the Department of Environmental Science, Policy, and Management at UC Berkeley; Loka Ashwood, assistant professor of in the Department of Agricultural Economics and Rural Sociology at Auburn University; and Anne Randle, an agriculture and natural resource agent for the University of Georgia Cooperative Extension. "We are hoping our research will help optimize the relationship between financial landlords and tenant farmers," said Fairbairn. "As a society, we may need to develop some new strategies to help farmers cope with the new pressures of financial competition for farmland."